Porphyry is a type of igneous rock which, along with granite and other rock formations, makeup approximately 95 percent of the worlds “crust” which contributes to porphyry green attributes. These rocks are the result of intense volcanic activity begun over 260 million years ago. Highly valued for its appearance, Porphyry natural stone pavers have been used for paving since ancient times. Many of these roads, plazas, and walkways are still used today. 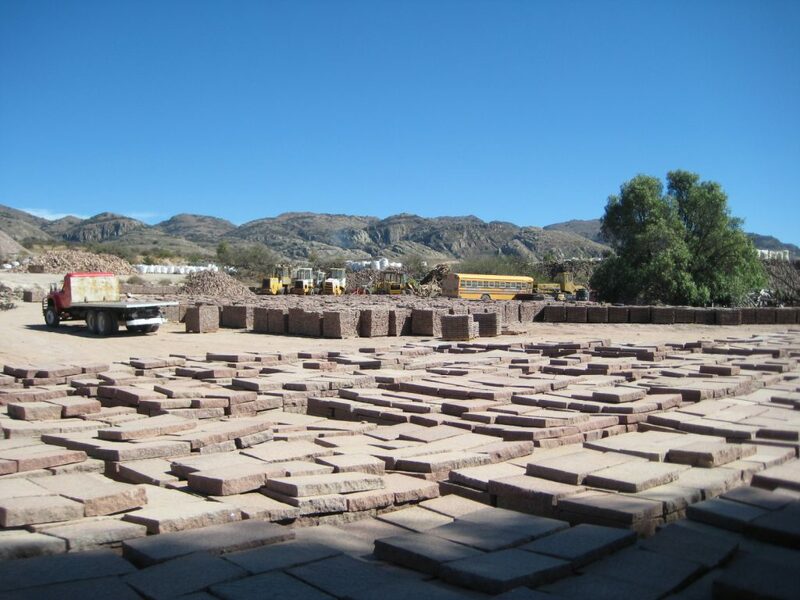 When set on properly prepared aggregate sub-base, Porphyry pavers will last hundreds and sometimes thousands of years. It is a material with a long lifespan that requires very little maintenance and infrequent repairs. Increasingly, conventional paving solutions are not meeting changing standards and expectations. Many are short term solutions which require environmentally unfriendly processes that require maintenance, constant resurfacing and often replacement within a few years of installation creating greater costs over time. 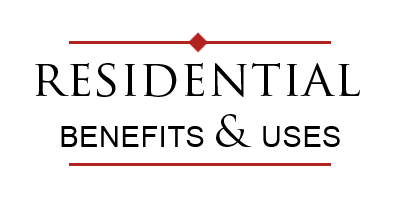 Life cost analysis show the strong value and sustainability that Porphyry pavers provide. Porphyry is unique in the granite family in that as the formation of magma cooled seismic activity occurred causing fissures and creating slabs of flagging of various thicknesses. 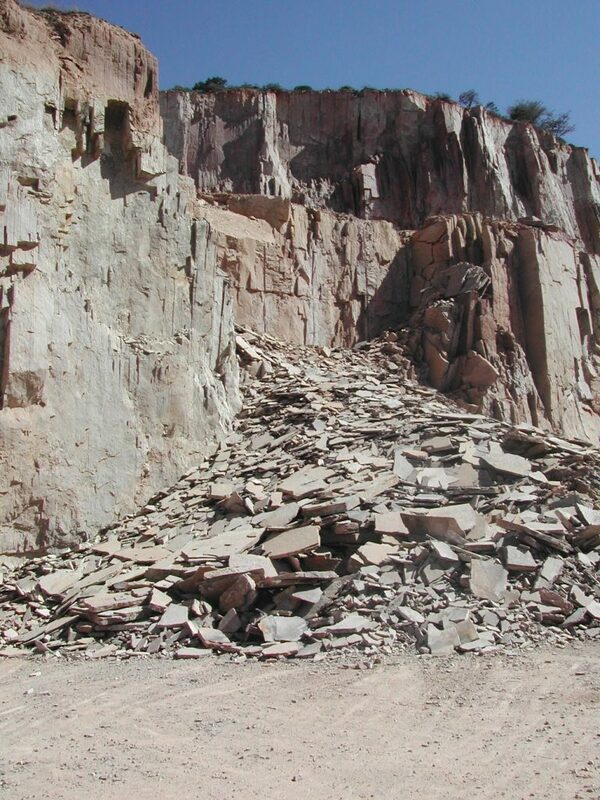 The material is split from the quarry face using explosives. This consists of putting a series of small explosives at the foot of the formation with the blast causing the flagging to fall from the face above. which can be dealt with by the quarry workers who can carry out the sorting. 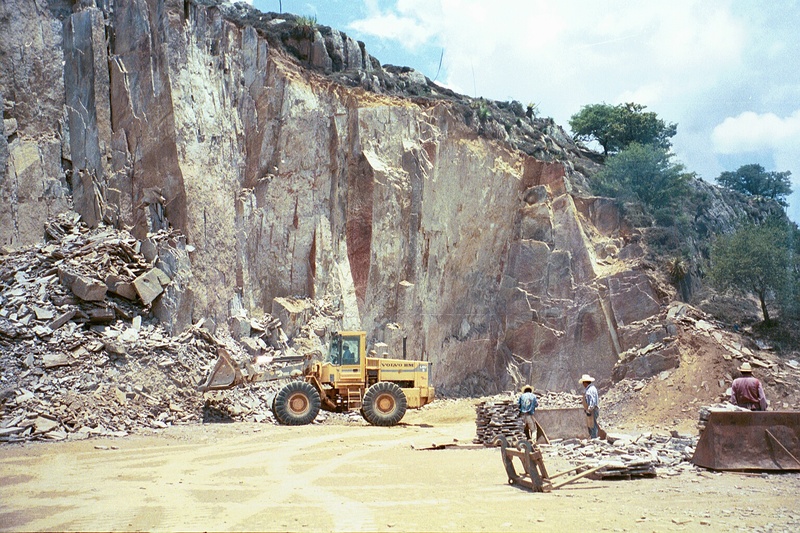 With the aid of mallets and wedges, and following the planes of the rock, slabs of variable sizes and thicknesses are obtained from the blocks. 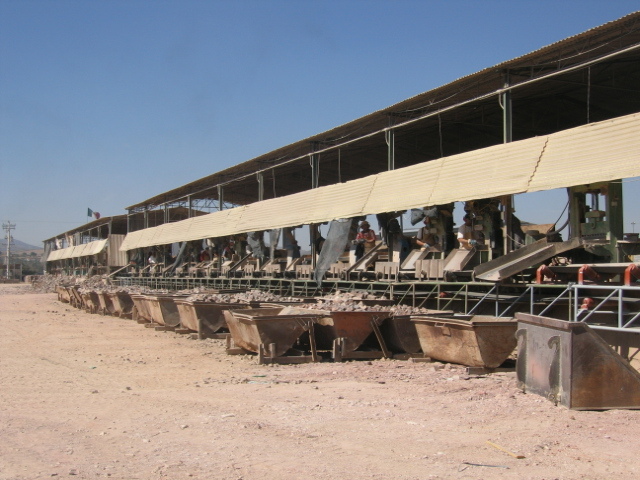 The quarry workers then proceed with the sorting of the slabs on the basis of quality, thickness, size and shape. 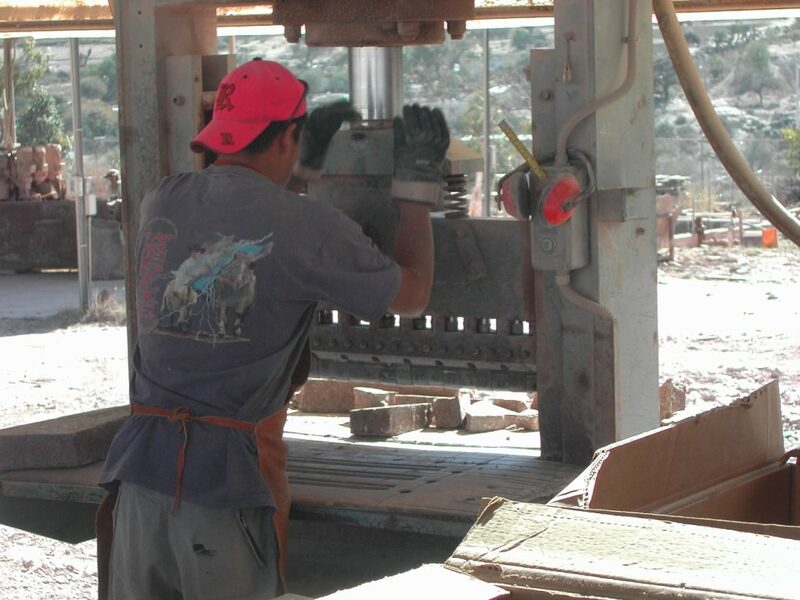 The slabs are then brought to the cutting area to be snap cut or sawn into various widths and lengths. Finally the cut pavers are put on pallets ready for shipping. The process results in natural stone pavers quarried in a low impact, environmentally friendly method with an extremely low carbon footprint. The Romans were the first to create specifications for their roads using layers of various sized aggregate topped with a course sand for leveling the final layer of stone. Today this method has become an important component of modern permeable pavement systems. These systems integrate the use of aggregate sub-straights to aid in managing storm water in Low Impact Developments (LID). In order for a surface to be permeable, it must have openings to allow water to penetrate the surface. In segmental or unit paving like stone, the joints are what make the surface permeable. The effect of any surface’s permeability is squandered if the substrate is not designed to accept or manage the movement of the water, thus defeating the purpose and benefits of a permeable surface. The substrate design should be based on the soil’s ability to infiltrate the water. The most common design is for full infiltration of the soil. In this design water drains through the paver joints and the designed sub-base made up of stone crushers, directly into the soil. Overflow is managed by surrounding drainage swales, retention areas or sewers. Other designs are based on a deeper sub-base with larger retention areas that hold water for as long as necessary to allow percolation into the sub soils. Soils without the ability to drain require an impermeable liner on the bottom and sides with drainage pipes directing the water in a controlled manner into sewers and streams. While there are many benefits to permeable paving, the primary benefit is to effectively reduce and manage the quantity of surface water runoff. Water is able to penetrate the surface and naturally filter back into the aquifers in the ground, while preventing some pollutants from getting into the aquifer. The joint material should adequately allow the passage of water to quickly drain, possess the structural capability to withstand traffic loads and provide horizontal stability to the paving surface. The world is a vast and unimaginably huge resource of stone. The earth is made of it and the depth of usable material is immense. Even so, using stone as a resource in modern construction, we must consider its ability for sustainability. By looking into the past to design the future, we can see that stone which has been used for paving can often be recycled and reused for the same purpose over and over for centuries without the need to be reprocessed in any mechanical way. Porphyry is different from other granites in that as it cooled from a molten state, it fractured in both vertical and horizontal fissures due to seismic activity. 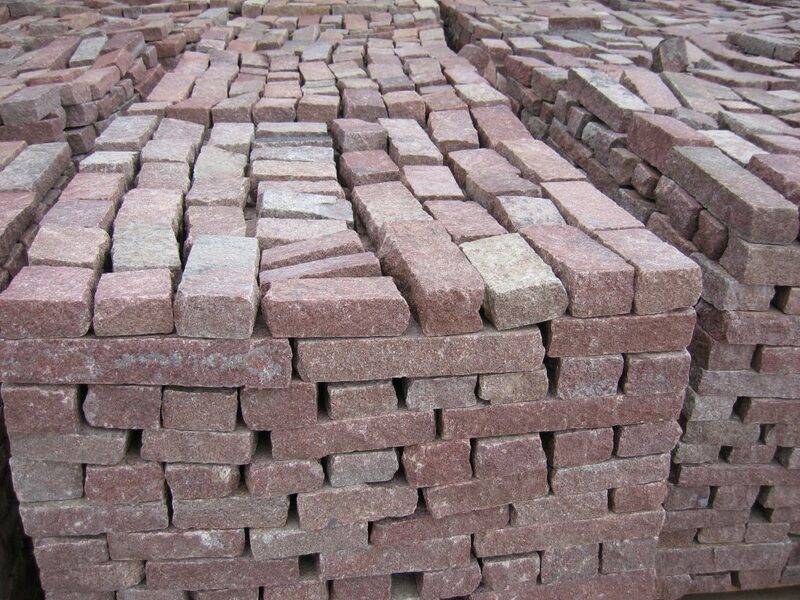 As a result, Porphyry has an even yet rough surface, and due to the hardness of the minerals it contains, Porphyry pavers do not become smooth from wear or slippery when wet. Porphyry is an excellent choice for paving outdoor surfaces as it is unaffected by freezing and thawing and highly resistant to chemicals. It is ideal for commercial and residential use because of its durability. This natural stone is aesthetically beautiful and compatible with a wide variety of architecture. Increased concern for safety and durability has led to the adoption of protective surfaces which are easy to repair, have minimal installation and maintenance costs and offer an economic solution because of its long life cycle. The excellent condition of the many roads and squares throughout the world paved with Porphyry centuries ago is a testament to its low maintenance and long life. Porphyry: the durable choice for paving…for the next thousand years.